What Specs Do I Specifically Need For Photo Editing? 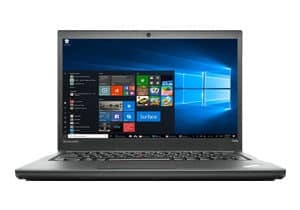 What Other Laptop Features Are Important For Image Editing? Should I Be Picking A Desktop For Photography Instead? 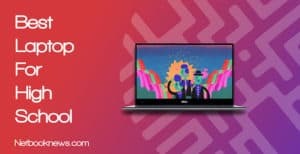 Whether you are designing web graphics, altering photos, or just cranking out dank memes, you want your laptop hardware to be able to keep up with any photo editing program. If your current laptop frequently slows down or freezes while touching up large image files, it’s time for an upgrade. Want to keep the creativity flowing without interruption from sub-par hardware? We’ve got you covered with a breakdown of the top 5 best laptops for photographers and photo editing in Photoshop! This is one area where Macs tend to outshine Windows machines, and many professional graphic designers stick with Apple. If you want to go with Windows 10 though, we’ve still got plenty of options for you to consider. When using cheaper computers with lower specs, it’s quite common to experience stutters and lag while opening extremely large photo files. That also tends to be the case when applying filters or making edits to those images. We want to avoid those problems entirely, so all our contenders are powerful enough to run Photoshop or similar tools without any slow downs. Besides that consideration, we also went entirely with laptops featuring high resolution displays. If you are going to be looking closely at huge images all day, you want a great viewing experience. Let’s dive in and see the top 5 contenders for the title of best photo editing laptop! 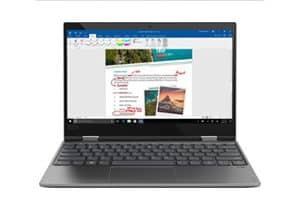 In 2018, the Lenovo Yoga 720 gets our stamp of approval as the best overall laptop for photo editing. With a 4k screen and a 2-in-1 design, you get the best of all worlds, and it sports very high end specs. Prefer an Apple product instead of photo editing? In that case, the latest Apple MacBook Pro 15” model should be your top choice. Should I be picking a desktop for photography applications instead? Looking for a full HD screen with an IPS panel and the specs necessary to run heavy duty photo editing software? If you’ve got less than $500 to spend, this should be your top pick. Want to use top-of-the-line photo editing tools, but don’t have much to spend on your hardware? You will need to make some hard choices on what specs are most important to you for using a program like Photoshop. A high end display should be top on your list of priorities, and that’s what you get here. For a very low price, you get the full 1920 x 1080 resolution on an IPS panel, and it’s a touch screen to boot! In terms of internal components, an i5 processor, 8GB of RAM, and a solid state drive will give you overall decent performance while editing images. 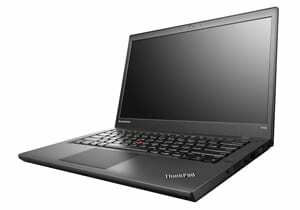 This is a refurbished model, which has been reset to factory settings by Lenovo and then cleaned and re-packaged to look new. 256GB is also on the low end for what you want when saving large image files. You may end up needing to buy an external USB drive, or be willing to shell out a bit more for a machine with a larger SSD. Don’t like the idea of picking a previously owned device, even if its been restored to original settings? 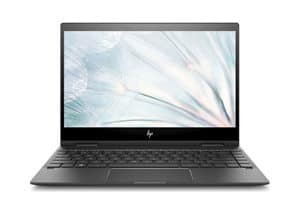 HP’s 2018 HD Thin and Light model is another great pick under $500, although you drop from an SSD to an HDD. Unfortunately you’ll get slower boot times and experience some lag when opening large image files, but that’s the trade off for getting a new machine at the price point. Looking for the best mid-range laptop for using Photoshop or other editing tools? This should be your pick if you want the best processor and a high end display! Our top pick for the best laptop for photography under $1,000 has two main selling points — the processor, and the screen. The i7, 8th gen processor with an 8MB cache will power through any photo editing tool you use without skipping a beat. You get a very nice display as well, with both touch capability and a high resolution. The Envy further boasts what is referred to as “edge to edge” display. It means the laptop has very little bezel intruding on the sides of the screen, so you get more viewing area than normal with a 15” laptop. While this is one of the best photo editing models available, there are of course other options in this price range that trade off different specs. If you prefer a thinner model with a 13 inch screen for instance over the full 15 inch HP, you should take a look at the LG Gram instead. 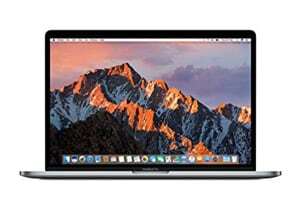 It also isn’t hard to find great photo editing computers under $1,000 with 16GB of RAM instead of 8GB, although they will have slower processors. Want the absolute best that Apple has to offer for photo editing? This should be your pick, although you will pay a very high price for this level of quality! You had to know we’d be looking at a MacBook eventually, right? For photo and audio editing, Apple still reigns supreme, even if Windows is catching up these days. The cream of the Apple crop is of course the MacBook Pro, and that will be your best bet if you want a powerful, full size laptop for photography. First up is the stunning “retina” quality display, offering better colors and darker blacks while editing images. The second is the MacBook’s extremely high build quality, with an aluminum chassis built to last. Finally, the Touch Bar is an extremely nifty feature, especially for photo editing, as it predicts what buttons you will need based on the types of programs you use. There is one downside to keep in mind here (aside from the high price tag) — you get a limited number of ports. You’ll need to get a hub to connect much of anything, since USB-C ports (or Thunderbolt on older models) haven’t fully caught on in the tech world yet. Want to save yourself more than a thousand dollars? Older MacBook Pro models are available far cheaper, although you lose the Touch Bar feature and drop down to a 256GB SSD. Want the absolute best viewing experience possible on a Windows laptop with high end specs? This should be your pick! There’s no question that 4k screens are the wave of the future, but at the moment they remain in “bleeding edge” territory. While they are worth every penny, you are going to pay a premium for this feature. 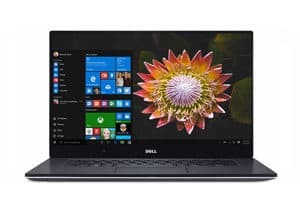 That being said, the Dell XPS 14 with a this display is more than a thousand dollars cheaper than the latest MacBook Pro, but offers better overall specs. With 32GB of RAM, you can expect to have multiple tabs and editing programs open at the same time without any lag. The dedicated graphics card also means you can do some gaming on the side, or run memory-intensive video editing tools as well. Note that the listed battery life is for idle web browsing at medium settings. A 4k screen with a dedicated graphics card will eat through battery life very quickly with any other usage. If you keep the screen brightness at full and are using high end photo editing software, expect much, much lower battery life. 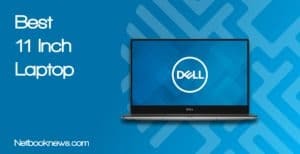 You will probably be better suited just leaving the XPS plugged in most of the time. Looking for the best all-around touch screen laptop for using Photoshop or touching up old pictures? This should be your top pick! Several of our contenders above also feature touch screens, so there’s no shortage of options when picking a laptop specifically for photo editing. 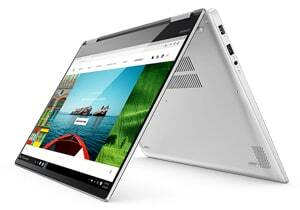 The Lenovo Yoga is easily the best overall touch display machine with a wide range of features, however. First off, this model is a hybrid machine built with Windows Ink in mind. If you use a stylus for editing often, this is a great option. Even if you don’t care about a stylus, you still get very high end specs with the Yoga. Between the i7 CPU, 16GB of RAM, large SSD, and dedicated graphics card, your laptop will be ready for anything. This is also a beast, meaning you get crisp and clear images whether you are using Photoshop or streaming Netflix movies. There’s also one big feature often mentioned by reviewers. This is less important for photo editing, but it’s worth noting that the speakers are positioned on either side of the machine, rather than the bottom. That means you get better sound quality no matter what configuration you are using — tablet, 90 degree angle, tent mode, etc. As we’ve mentioned before, manipulating large, high resolution photos is quite taxing on your processor and your RAM. To ensure you don’t experience any freezing or lag issues, an Intel Core i5 should be your starting point when picking a processor. While that will get the job done for most users, we’d recommend bumping up to an i7 if your budget allows to get an even smoother experience. Always look for the 8th gen processor whenever possible, with more cores and a higher cache. Those last two options are critical, as they will make it easier for your CPU to handle adding filters to big files. Picking a laptop with 8th gen i7 processor will further mean that a dedicated graphics card isn’t as important. Unless you are also involved in heavy duty video editing, the integrated graphics chip with that line of processor will meet your needs. 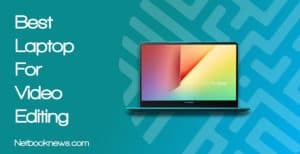 Screen resolution is going to be the big issue to consider when picking the best laptop for using Photoshop or similar programs. 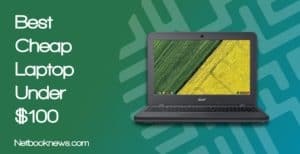 You can find plenty of cheaper laptops online than those we’ve listed here. Those models will almost always drop down to 1366 x 768 resolution and use TN panels, however. Both of those specs should be avoided when picking a computer for photo editing. You want a minimum of 1920 x 1080 resolution, and an IPS display will offer a much better viewing experience. Don’t forget to take a look at what ports are included either! A card slot is mandatory if you are using a traditional digital camera. In most cases you can ditch the optical drive, unless you have clients who prefer finished photographs saved to physical media like a DVD. In that case, you could still get an external DVD drive, it will give you a little more flexibility. There was a time when you truly needed a high end desktop for running memory-intensive photo editing tools. That time has passed, and now there are a wide range of laptops that can work just as well. 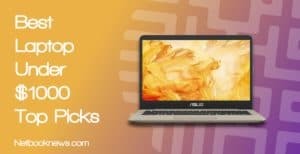 So long as you stick to an i5 or i7 processor with 8 – 16GB of RAM, you can easily beat out any desktop system. Two potential issues should be kept in mind if you go with a laptop, however. The first involves battery life, and the second concerns storage capacity. 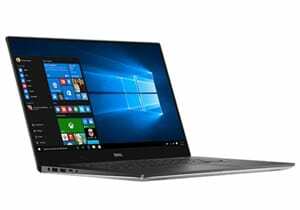 Especially with 4k resolution models, you will frequently be plugged in due to low battery life, so you lose out on some of the traditional laptop portability. Finally, keep in mind that for serious photo editing you will either want a very large SSD, or both an HDD and an SSD. The hard disk drive is used for storing completed projects, while the SSD offers faster speeds booting the operating system and working on new projects. 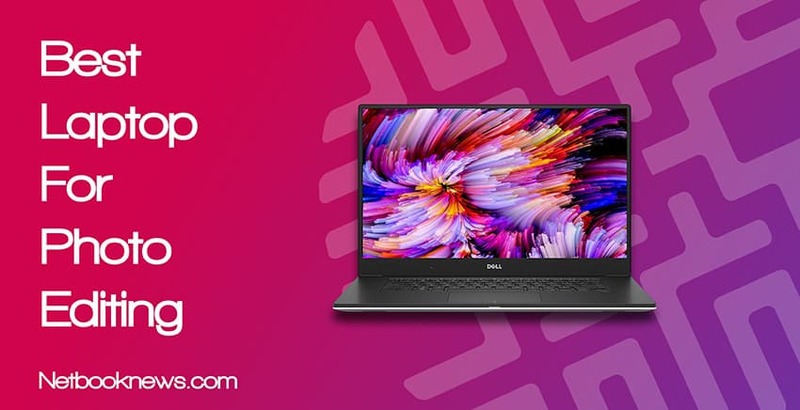 Whether you are a graphic design expert who creates logos and covers or an amatuer who just wants to touch up old photos, one of these laptops will be your perfect choice. What features do you look for in the best photo editing laptop, and what did you think of our top five contenders? Leave us a comment below with your thoughts!